Dutch Masters Cigars are classy smokes made from premium quality, hand-picked tobacco leaves. These are machine-made cigars that do not compromise on quality. Made in Puerto Rico, these cigars are manufactured and distributed by Altadis USA. 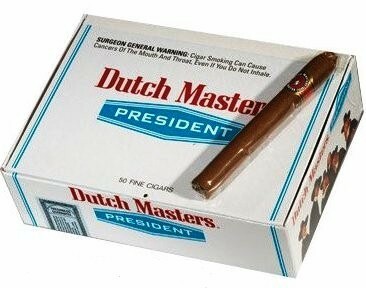 Dutch Masters Cigars come in many flavors and in pure tobacco smoke varieties. They are made of Caribbean basin Cuban-seed tobacco blends. Dutch Masters Cigars filler and binder are then enclosed using natural tobacco leaf wrappers. 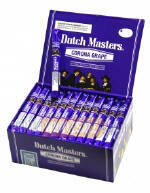 The Dutch Masters Cigarillos are flavored cigars with rich unflavored tobacco varieties. The cigars all offer a finely nuanced smoke. They come in many flavors like Vanilla, Grape, Strawberry, White Grape and Wine.